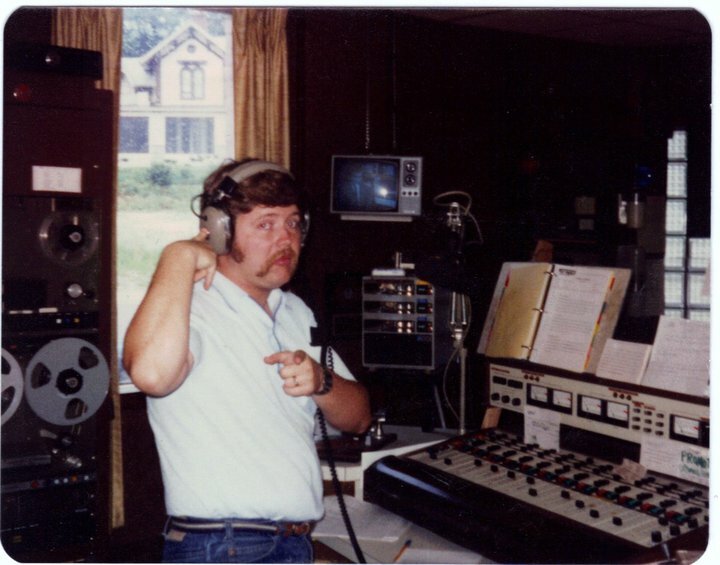 Here is a photo from the site, showing a young Dave Shropshire at KSTT. Thanks to a couple of radio guys, current and former members of the Quad-Cities radio media and their friends now have their own site on Facebook. TV folks are welcome, too. Quad Cities On Air is a place to share Q-C media-related photos, videos, audio clips and stories. The site was started Dec. 4 by Terry James and Shawn Geyssens. James last worked in the Q-C in 2006 as a newsman at WOC and the other Q-C Radio Group stations. 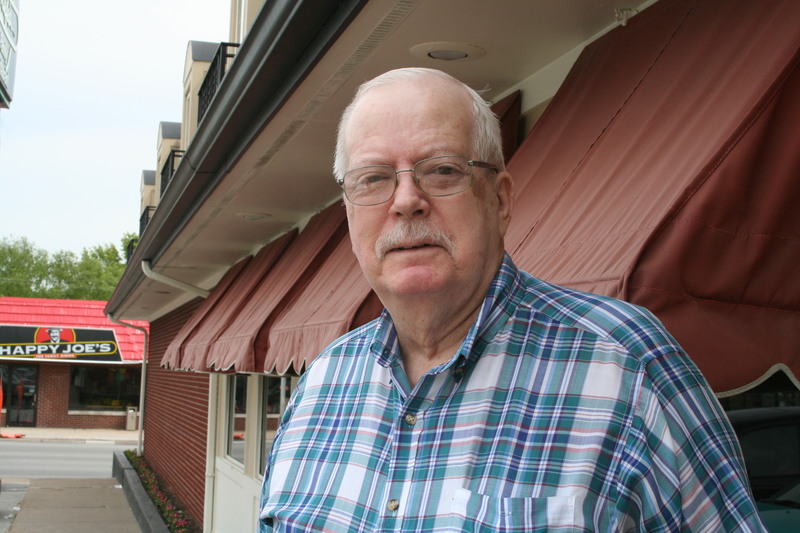 He is now in Lincoln, Neb., where he is the Nebraska Radio Network’s news director. Geyssens, who no longer works in the media, is a former deejay at Power 98.9 and KUUL. James said the site is not a place to bellyache. I love those monthly doses of living broadcast history! 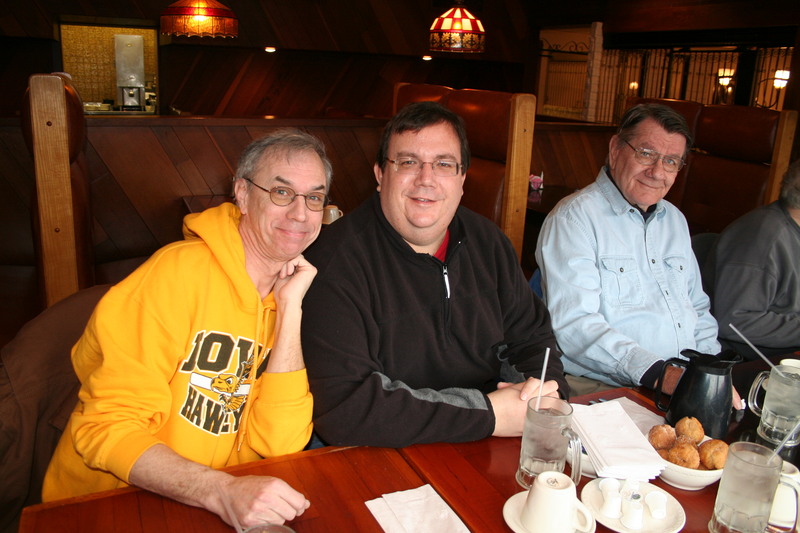 Left to right are Jon Book, Tom Brehmer and Don Rhyne at a recent WOC Club meeting. Left to right are Ed Zack, Ivan Owens, Betty Straight and Ed Jones. 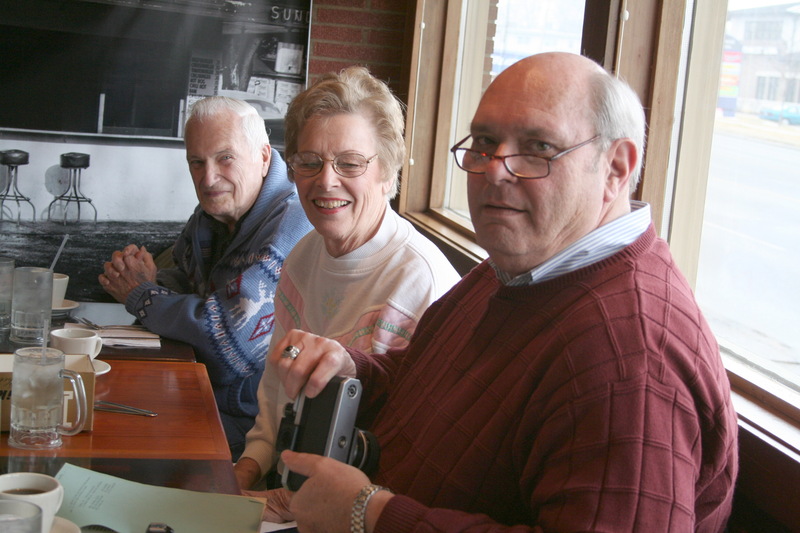 Shown left to right are Stanley Straight, Wilma Hauser and Dave Coopman. 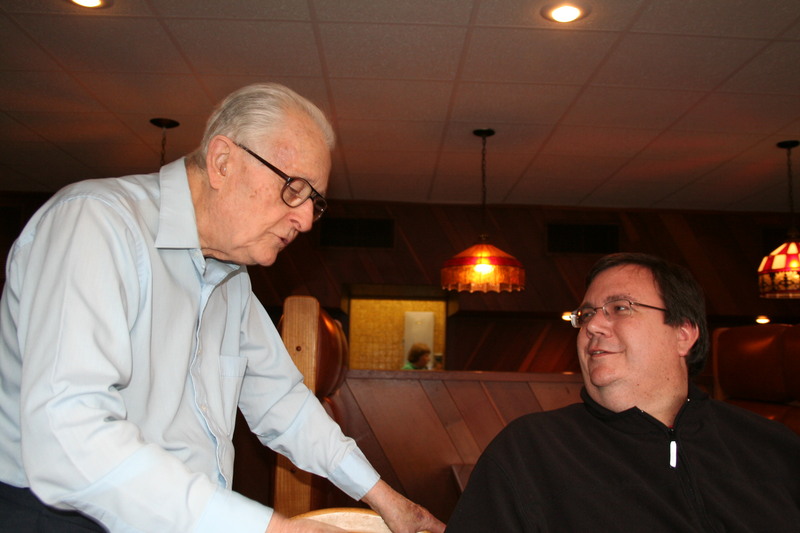 Ed Jones, left, with blog author Phil Roberts. Donna Scott was Miss Donna on "Romper Room." Former WOC radio-TV hostess and continuity director Anita Sundin. Donna Scott shares a laugh with WOC Club members Ed Zack and Ivan Owens. "Jonesy" jokes with Tom Brehmer. Though most of us who attend the montly gatherings could, by most definitions, be considered senior citizens, we’re also a diverse group in that we did a variety of broadcasting jobs. Some members of our monthly get-togethers – I’ll call it the WOC Club — worked in front of the cameras and/or microphones and you’d likely recognize many of their faces or voices. Others spent their time toiling behind the scenes. You wouldn’t know them, but they were no less valuable to the broadcast product. I also suspect those of us in the WOC Club left broadcasting for a variety of reasons. Some of the former employees, like myself, may have been released for economic reasons. Others departed, perhaps, because of the recommendations of some highfalutin consultant, declining ratings or a program cancellation. I suspect, though, most people in our group left on their own due to retirement or because they had found another job — either in or out of broadcasting – that paid more or offered more normal hours. Despite our diversity, though, all of us who attend the breakfast meetings have one thing in common: We are former WOC broadcasters, or related to one, and we all have some interesting “war stories” to share. I lost my job as a WOC-AM news reporter and anchor in late April 2009. But it wasn’t until late that summer or fall that I heard of the WOC Club, asked about it and was invited to attend a meeting. 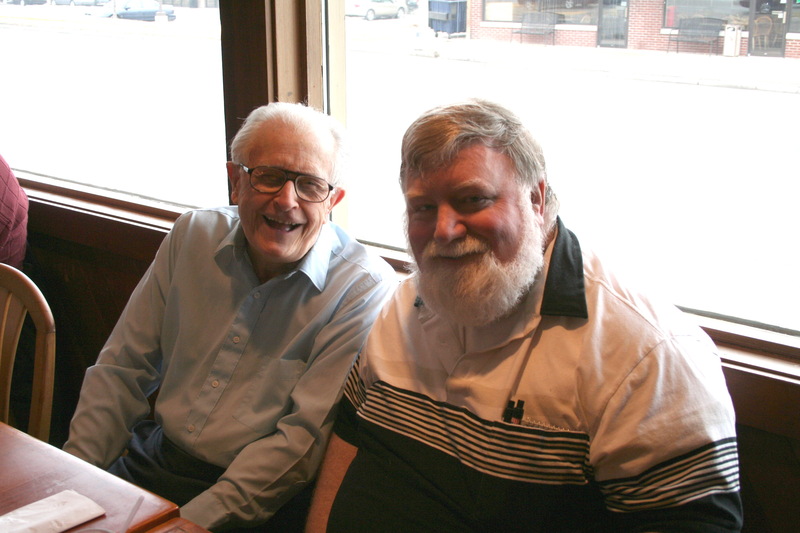 One of its members, and the guy who sends us all e-mails to remind our tired old brains of the monthly breakfast meetings, is my former St. Ambrose radio chum, Dave Coopman, who once worked in radio production and TV audio at WOC. Coop says the breakfast meetings evolved from retiree luncheons once held at the Bishop’s Buffet that was located at Duck Creek Mall. “When it closed, and with deaths, the get-togethers kind of went by the wayside as I understand,” Coop says. When Coop joined the group, it included engineer Carl Day; former news director Jack Thomsen; former TV director Don McGonegle, who attended when he was in town; former TV sports director and, later, TV program director Ed Zack; TV news anchor Don Rhyne, Danico, a former TV director; Ivan Owens, stage manager and set builder extraordinaire; former salesman John Goodall; and Russ Wingo, who worked in the TV film department and attended when not wintering in Arizona. Later, says Coop, former TV and current WOC radio engineer Jon Book started attending. Rich Birley, the webmaster for captainerniesshowboat.com, also began showing up to get information and photos for his Website. “Captain” Ernie Mimms and Anita Sundin, radio-TV hostess and continuity director, began attending. 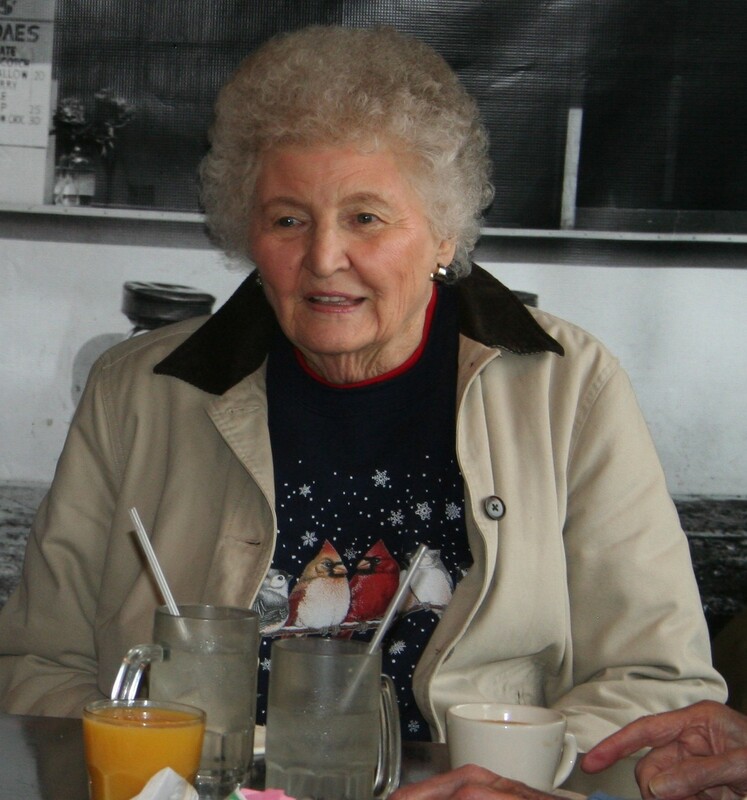 Then word began to spread and Dee Gress, widow of TV commentator Bill Gress; TV maintenance engineer Stan Straight and his wife Betty; Gwen Korn, Miss Gwen from “Romper Room”; Donna Scott, Miss Donna from “Romper Room”; and Doris Roth, widow of engineer Max Roth, began attending. 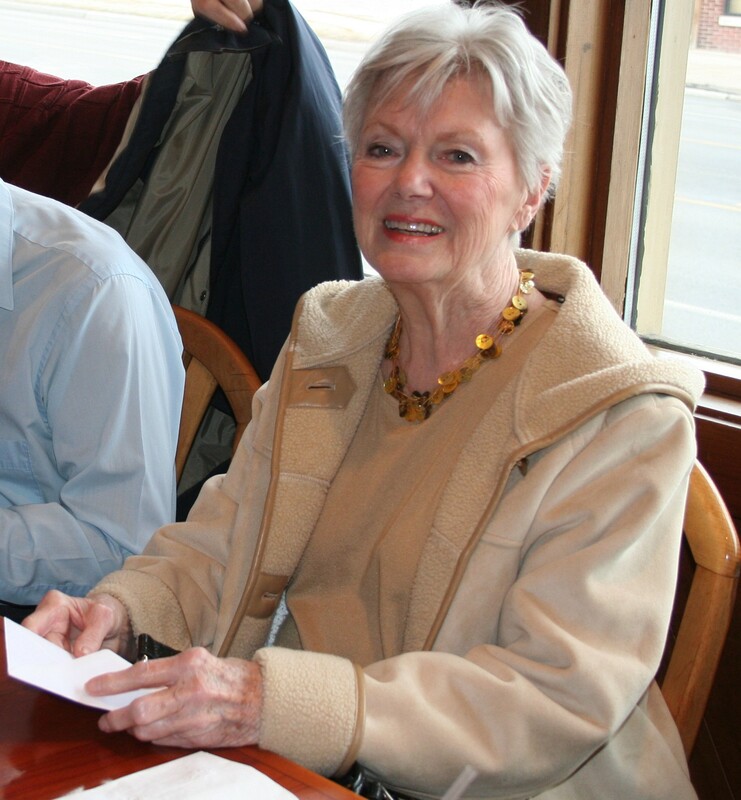 Other regulars are Ed Jones, former TV director, and Wilma Hauser, wife of former chief engineer Dave Hauser. “Depending on the weather, the time of year (some of the WOC alums are snow birds), vacations and health, the number of attendees varies from time to time,” Coop says. 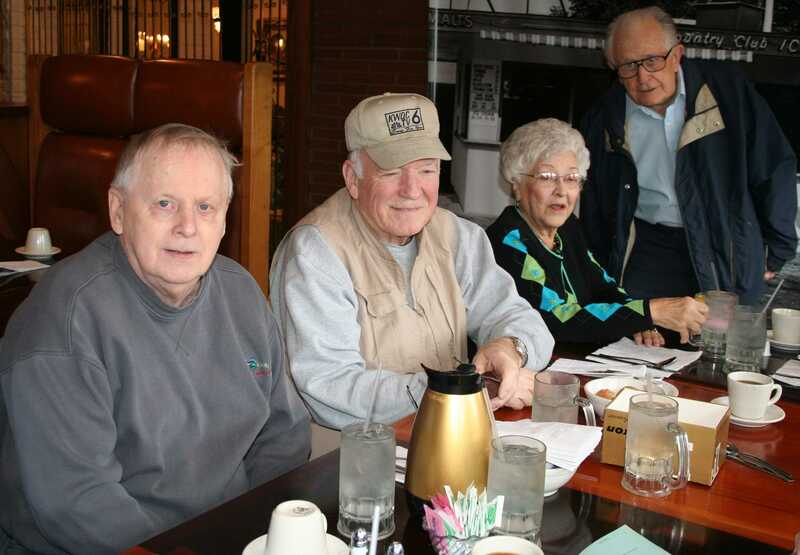 Some former WOC employees who were not at the March meeting of the WOC Club but who sometimes attend include McGonegle; Danico; John Hageman, former chief engineer; Kent Morton, former TV news anchor; and Steve Trainor, former TV reporter. Coop says, “occasional guests drop by, too. 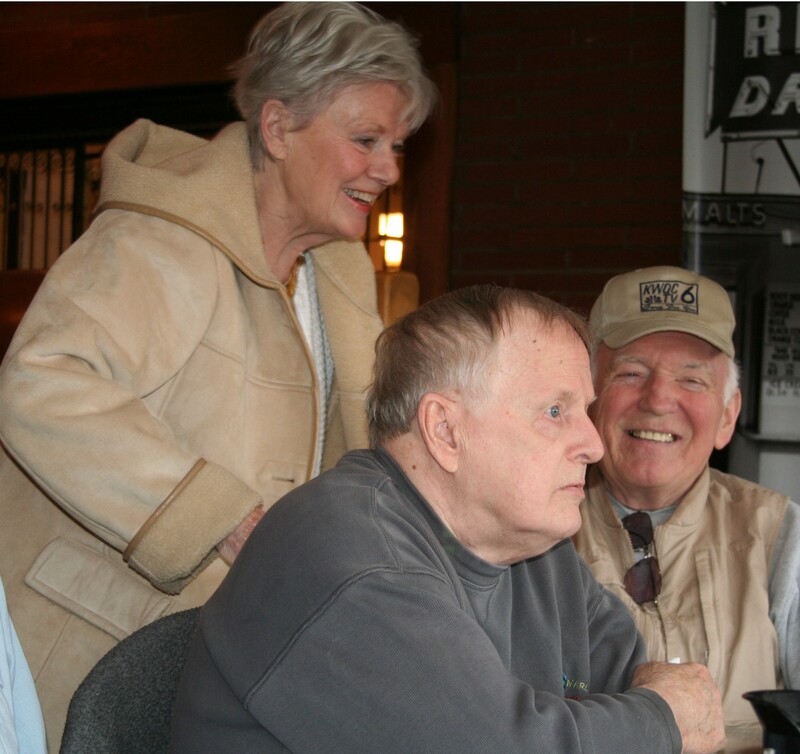 We had Ken Wagner Jr., son of Ken Wagner (Captain Ken of the “Cartoon Showboat”) come to one of the meetings, and we’ve also visited by phone with Max Lindberg, former WOC-TV newsman. I don’t say a whole lot at the WOC Club meetings. That’s because I’d rather hear all the stories, often humorous, being shared by the others. They’re a monthly dose of living broadcast history. And for me it doesn’t get any better than that.